I’m pretty excited this morning to share my first completed Digital Collage Sheet : ) I’ve been working super hard learning the program and I’ve come along way in a short time I think. I figured it all out myself…with the exception of turning the image into a downloadable JPEG file. Thanks to DH for coming to my rescue again!!! 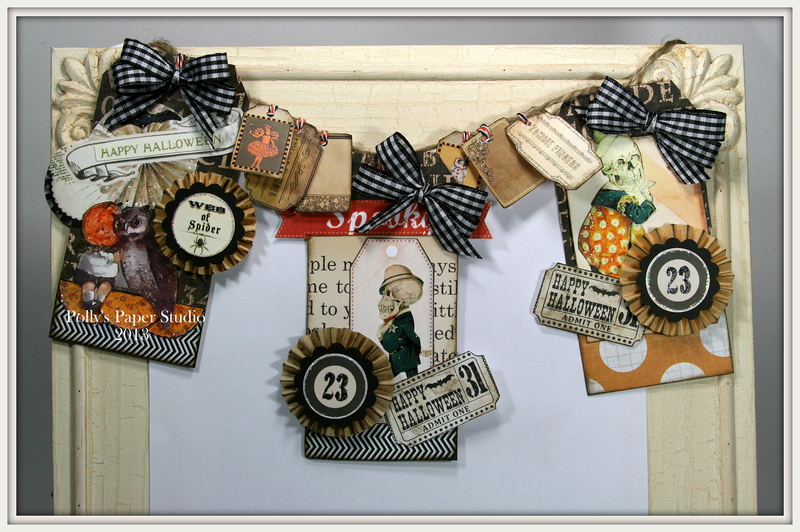 I created a sheet of super charming little Vintage Halloween Tags. I can’t wait to get to the shop and play with them and make up a fabulous project or two or three or four….lol…you know I do love me some Halloween! I think they would be cute as tags for a mini album, or strung all together to make a banner…on a spooky Halloween tree or added to scrapbooks and cards. I might even use them to add a label to a homemade treat of gift! Want a set of your own???? 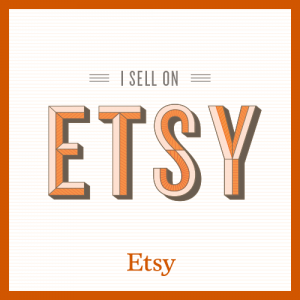 Of course you do : ) Just click HERE. Many of the fabulous images came from The Graphic’s Fairy! 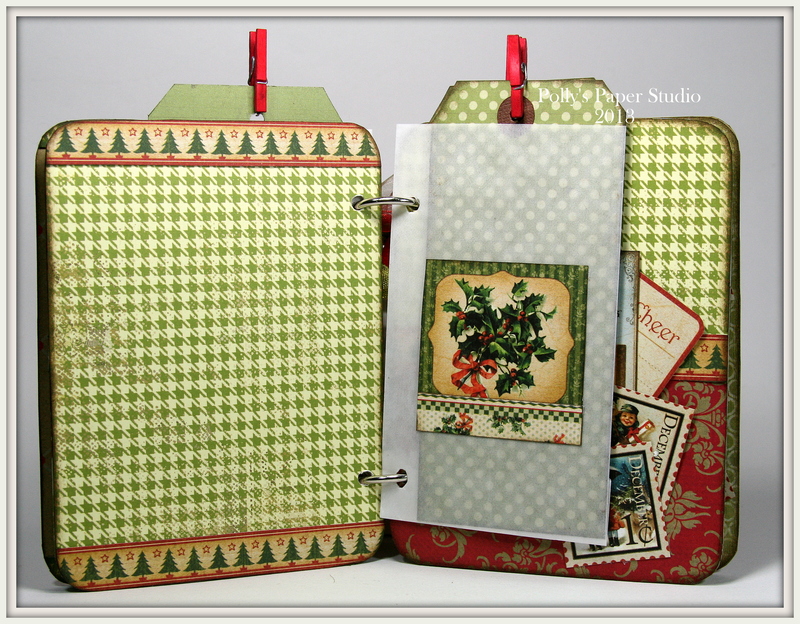 Here’s another fun Christmas Mini Album with vintage images, patterned paper layers, ribbons and trims, pockets and glassine bags that hold clothes pin topped tags. Just in time for the holidays! I used trims from Really Reasonable Ribbon for this mini: Red twill, Olive Wrinkle, Rust Organza and Bronze Organza. 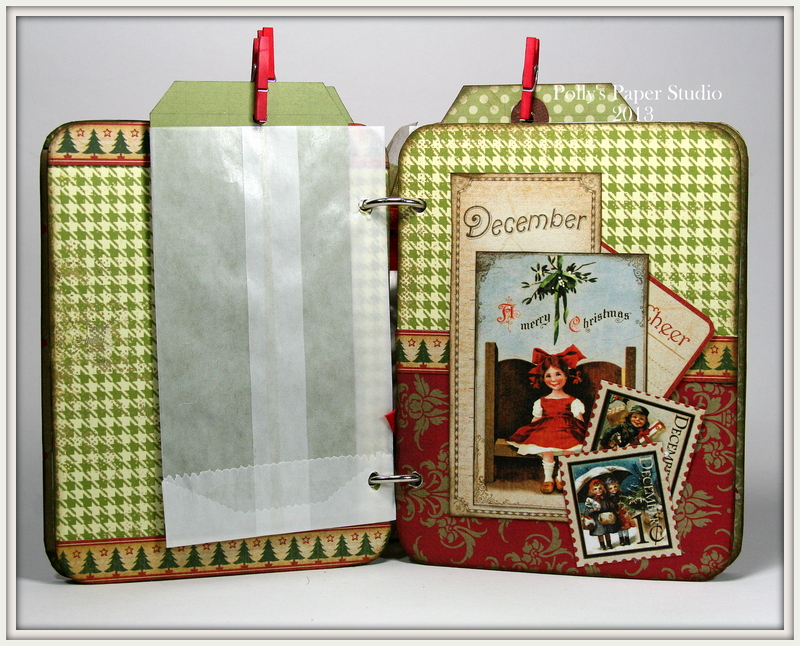 You can get more information on this album kit HERE. 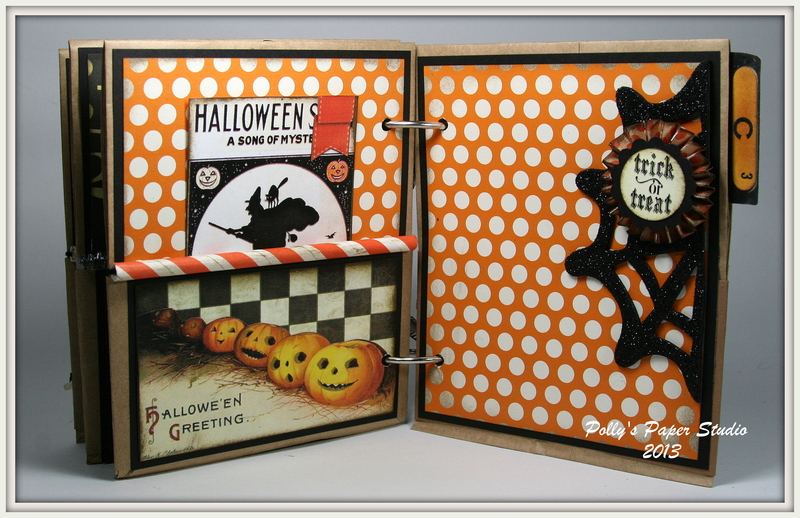 I’m going to share a card I created yesterday in the shop…then I’m going to share a little story about it at the end. So whats the story behind the card???? 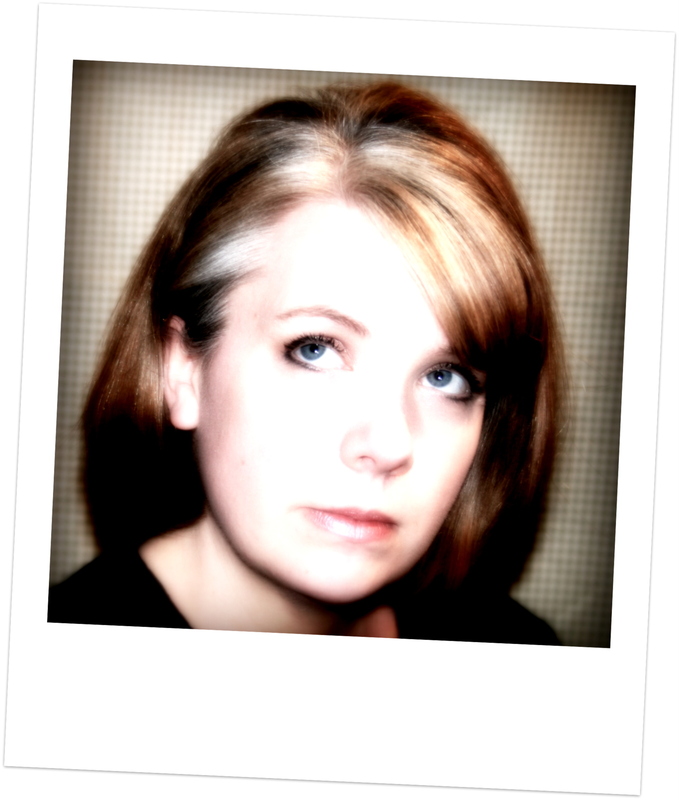 I have recently been trying to learn how to use the image processing programs to create my own digital images without much luck as I am not a technology friendly girl. : ( But on Monday determined to figure it out I spent the day glued to the computer until I had a few basic functions figured out. So the image with the Santa’s list, wreath, bird, and calendar element was my 3rd try at bat. I’m pretty happy with how it turned out if I do say so myself. 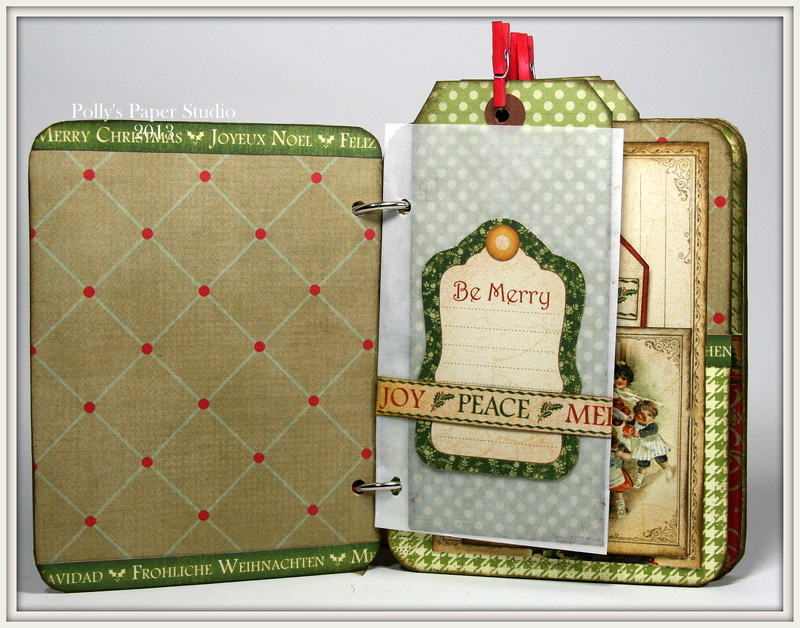 Of course I add pretty patterned papers, and some sparkly silver embellishments, as well as the fabulous trims from Really Reasonable Ribbon. 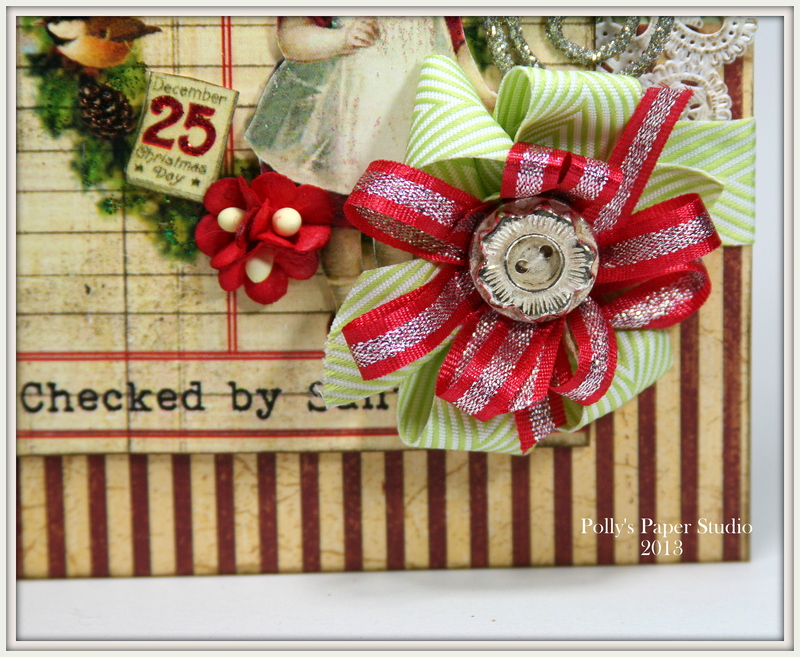 I chose the Chevron Stripe in Celery, Red and Silver Stripe and some Sweetheart Blooms for accent. 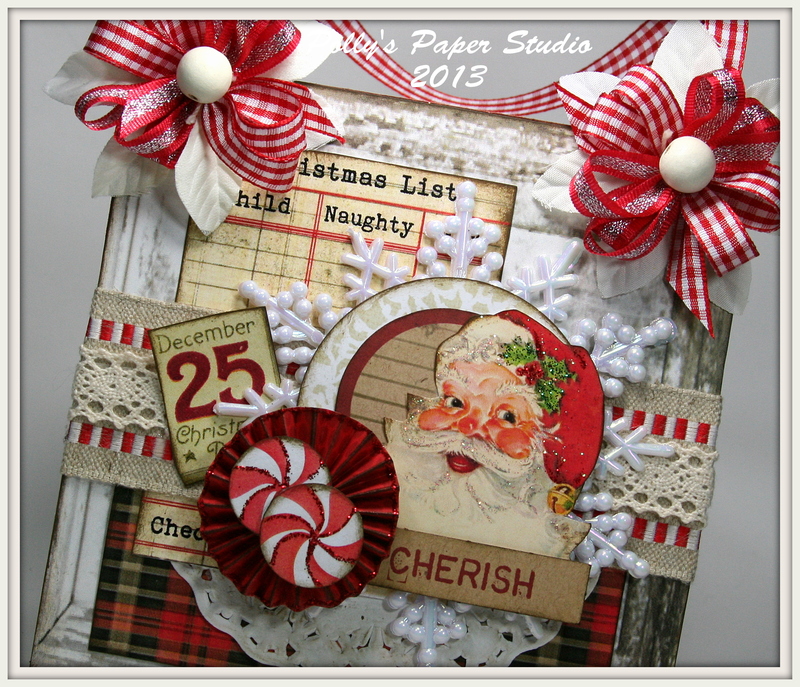 I’m entering this card in the Festive Friday Challenge. Howdy all. 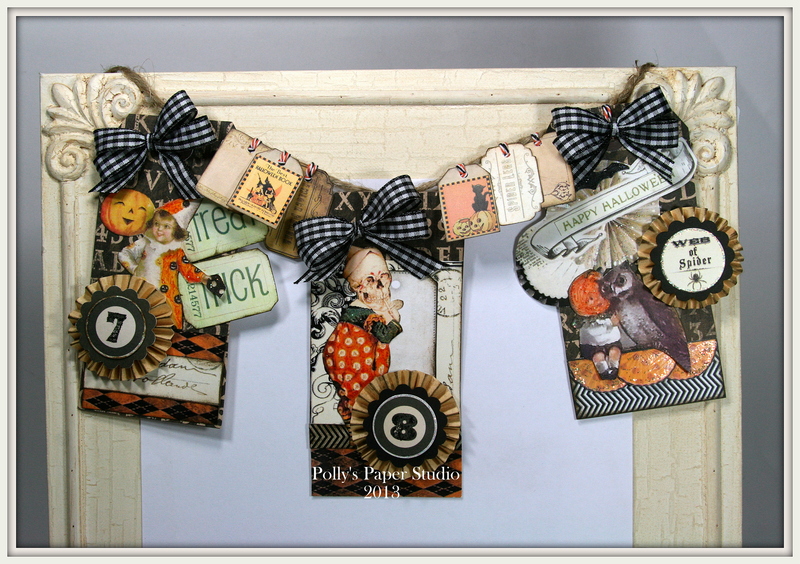 It’s Ginny here to share a great tutorial on using bakers twine to add tags to a banner. 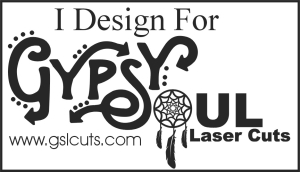 We make banners all the time in the shop…and I love to add loads of layers to make them look really nice and full. One of the challenges is hanging all the elements so they don’t twist and turn. This technique is perfect for keeping all the fronts forward : ) It also ensures that you can adjust the pieces to the proper spacing once you hang up your banner. You’ll want to choose the elements you want to hang on your banner. I’ve got small tags here. You’ll notice that I’ve punched a tiny hole in the tops. I like to use twine to hang all the parts on….since it’s smooth and you can slide things easily for spacing. 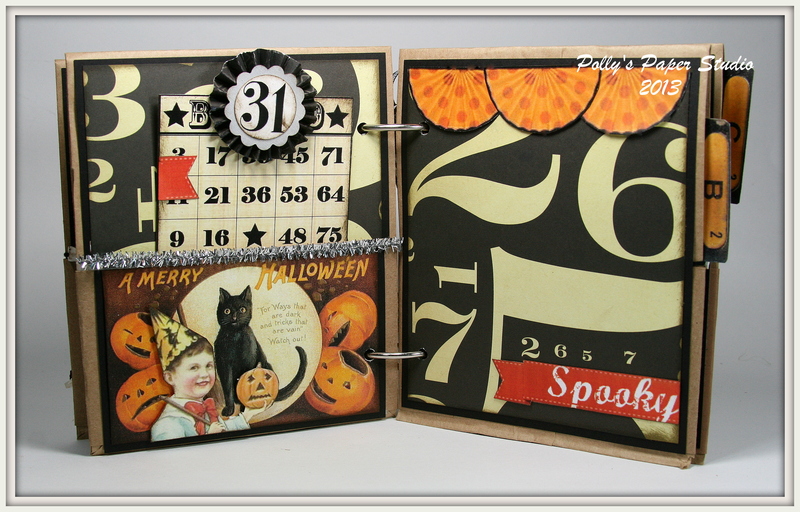 For this project…I’m using Halloween Bakers Twine. Make a small loop and thread it through the hole in the tag with the loop on the finished side. Pull the tails behind the twine. Pull the tails through the loop. Snug….but not too tight. Flip to the back unfinished sided and pull tails down to the back of the tag and secure with a good tape. Trim the excess. Once you have all the elements tied on flip over and adjust the spacing. I’ve dressed up the front with sweet little bows of Black Gingham. 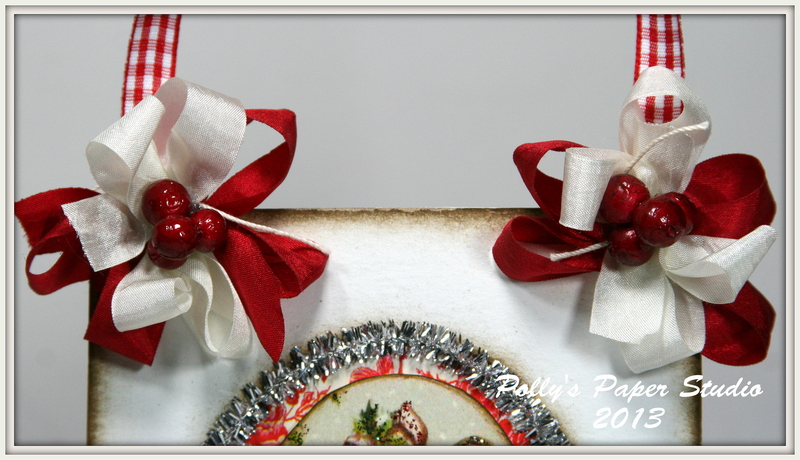 Want another look at the Double Loop Bow-torial I used to tie the awesome bows? Just click HERE.There’s also some paper rosettes for dimension, fun vintagy Halloween images, and a fair bit of stickling and inking. Before I go I want to make sure you all know that Bonnie is having an Autumn Sale at Really Reasonable Ribbon!!!!! 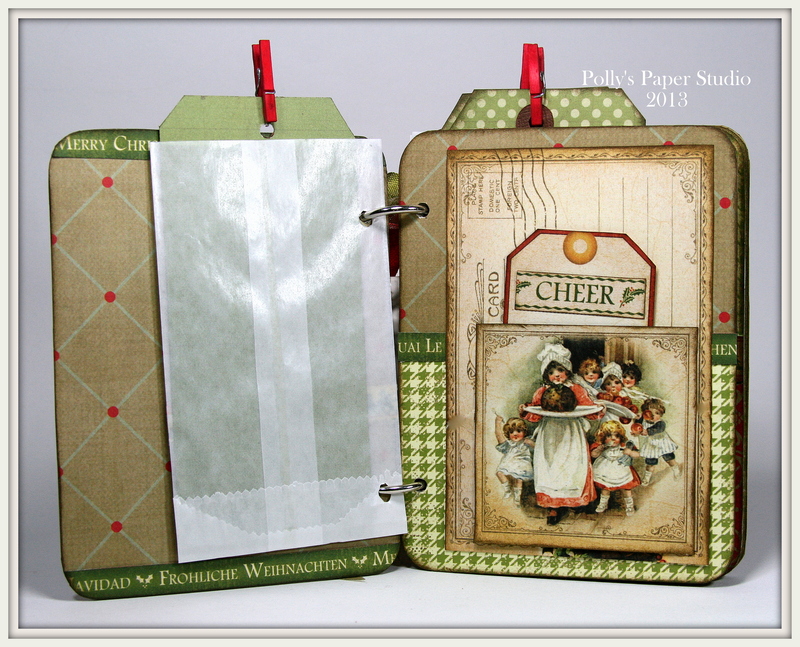 I got to spend a lovely afternoon playing paper at the shop with my dear friend Lisa. She was whipping up a Halloween banner and I was creating some Christmas goodies. So I guess we’re a shop for all seasons lol. The perfect end to my day was a lovely chat with my new friend Jeanne Marie from Florida, the creative world is a small world after all! All the trims I used were from Really Reasonable Ribbon. Red Gingham, Red Wrinkle Ribbon, Ivory Wrinkle Ribbon, Red Burlap, Lace. 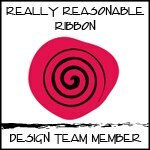 The new challenge at Really Reasonable Ribbon is Shabby Chic. They shoulda just called it the Ginny Challenge right??? I. Am. All. About. Shabby. But you already knew that right? So what does shabby chic mean to me? Old and new. Weathered and worn. City and country. Soft dreamy colors and flowers. And above all else…it must be feminine. And textures. So here is my project…I think I hit on every one of those. 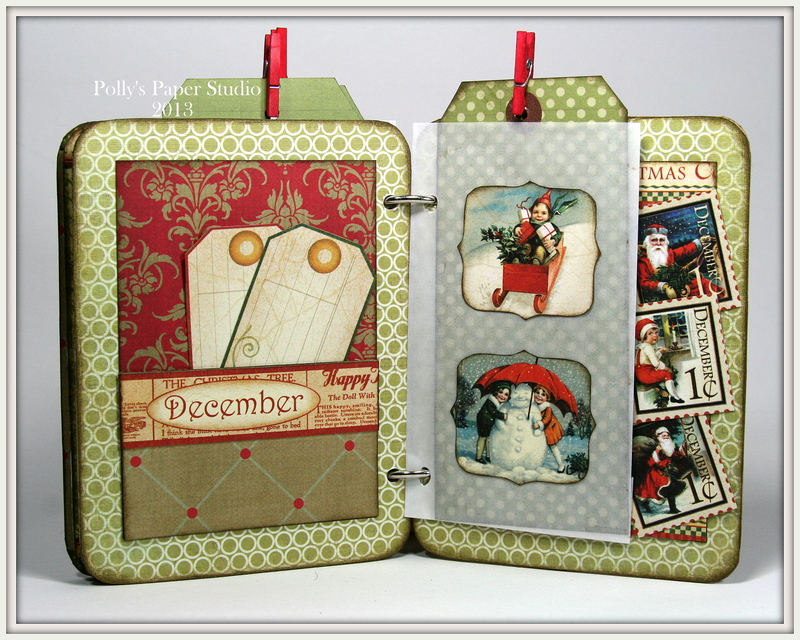 Just a simple little pocket….but I dressed it up in a pretty rose patterned paper and some vintage images for the tags. I added a crepe fringe with pearly accents, a few burlap flowers for texture, and beautiful button from the stash. I created my bow with a double layer of Wrinkle Ribbon, Ivory and Pink. I toned down the pink with a little Distress Ink so it would look old. One last button on top. I used a bit of chocolate brown in the form of a circular reinforcing dot on my tags…I think it helps to anchor all the soft colors. Now to write some sweet nothings on the tags! 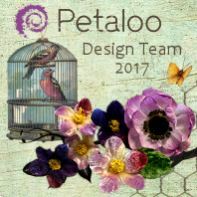 Now it’s your turn to whip up something Shabby and fabulous and hop on over to Really Reasonable Ribbon to enter your project in the challenge. If anyone needs me today..I’ll be working away like a busy little bee on kits with a nice cup of tea and my little gray girl Lily by my side. Wonder what I can find on Netflix to keep me company while I work?? ?